Order in next 24 mins for next working day delivery. 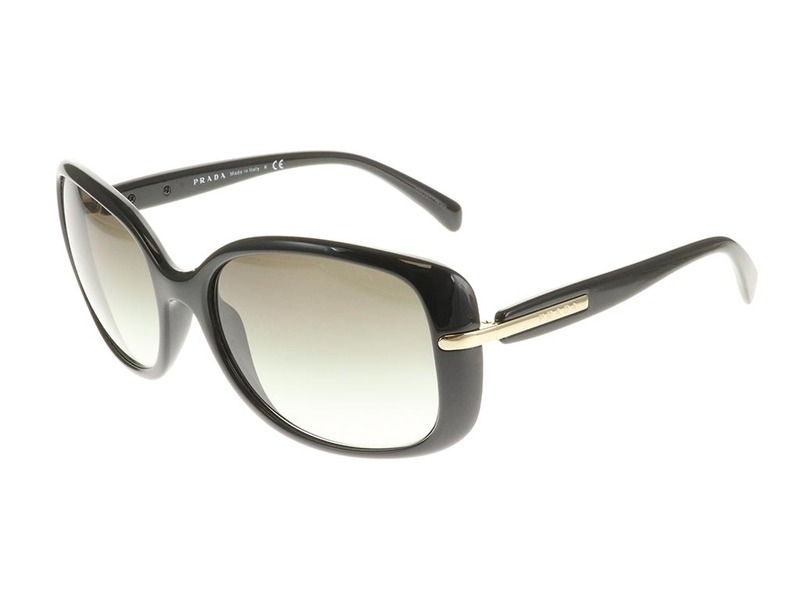 Prada PR08OS black 1AB0A7 sunglasses ooze the bold and fearless femininity that Prada sunglasses are famous for. 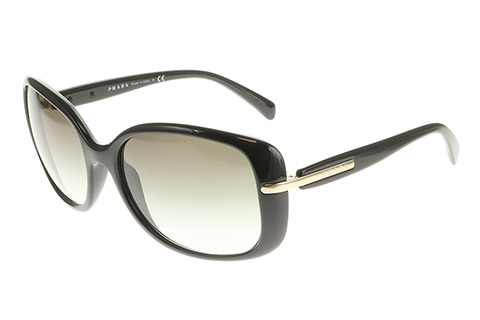 The sunglasses butterfly silhouette is moulded from lightweight and durable acetate. Its black frames are finished with a glamourous polish. The Polycarbonate lenses offer 100% UV protection against the sun and feature a dark grey faded gradient, offering a touch of mystery to the eyes. The versatile sunglasses are the perfect centrepiece to your accessories draw, adding a touch of timelessness that will never go out of style. The sunglasses come enclosed in both a beautifully crafted leather storage box and a leather case for when you’re out and about. Refer a Friend and earn money off your next order.